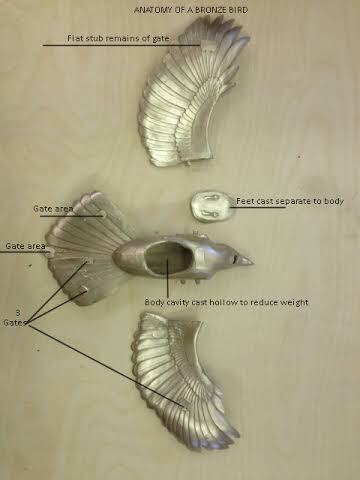 This majestic piece measure 18″ from wing tip to wing tip, 12″ from beak to tail and projects 4″ from the wall. The dark oil rubbed patina allows the exquisite detailing of the wings and body to be enjoyed. 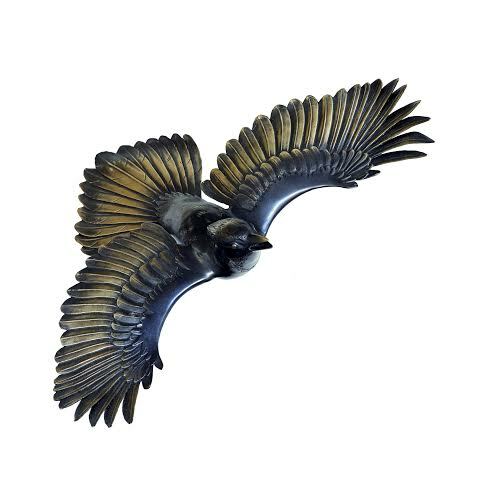 Part of a limited edition, this bird sculpture can be hung on the wall and admired as a piece of wall art or utilized as custom door hardware for an impressive entry to a residence, hotel or commercial building. 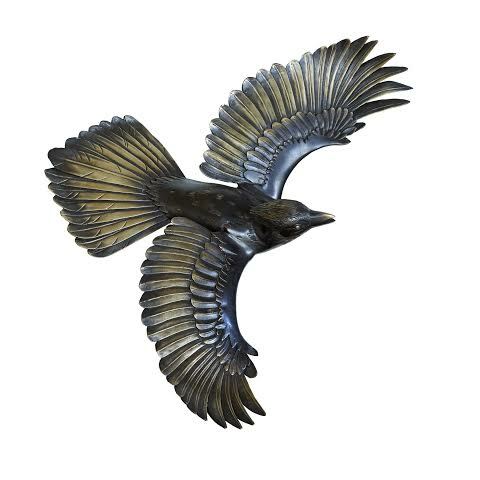 If you are interested in the jay sculpture or any of our custom hardware collections, please contact us to discuss your specific project. Our entire collection of architectural hardware can be viewed on our site at http://www.martinpierce.com. 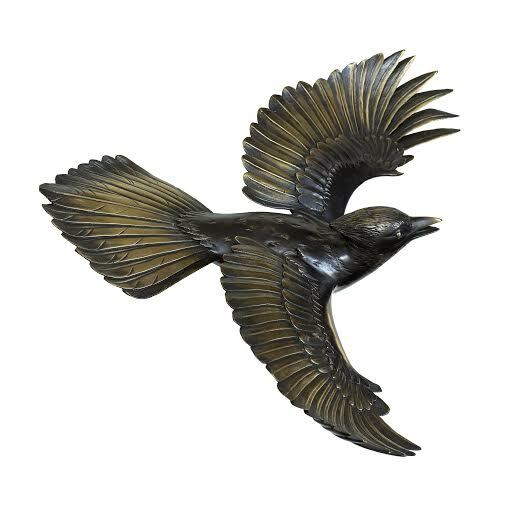 This entry was posted in architectural hardware, custom door hardware, hospitality design ideas and tagged bird sculpture, bronze sculpture, oil rubbed bronze, oil rubbed patina. Bookmark the permalink.